All 5K events begin at 8:30 a.m. local time. T-Shirt Pick Up and Event Check-In are scheduled for 7:15 a.m. local time. For Hikes, event times will stagger from 8:30a.m., 8:45 a.m., 9 a.m., 9:15 a.m., 9:30 a.m. Check-in 15 minutes prior to your hike time. (local time). Please note: Participants are required to pay $7 per vehicle at the gate for park entrance. This fee allows entrance for the entire day. After the race, don’t rush off. Take in the beauty of our state parks and make a day of it. Organize a picnic with your colleagues and their families or hike the trails with friends. 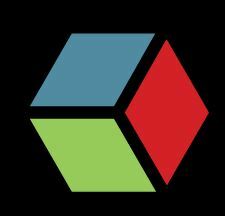 Click on the links below to see what each park has to offer. See you there! and fresh air? Join us for Tabata in the Park! Open to the public, all levels welcome. Continues from noon to 12:30 p.m. Tuesdays and Thursdays in White River State Park behind the NCAA building (weather permitting) through Aug. 30. Look for the signs and listen for the music! Tabata Training is a High Intensity Interval Training (H.I.I.T ) workout that has four minute rounds. Exercises range from Strength, Cardio, and Plyometric moves. All fitness levels welcome! Get geared up for an awesome workout! 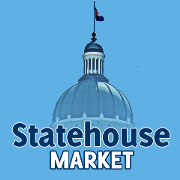 Visit the Statehouse Market between 10 a.m. and 3 p.m. each Thursday through Oct. 4, 2018. Enjoy some of the Indianapolis area’s best street food for lunch and shop for a healthy dinner from some of the Hoosier State’s finest farms. Join us for a relaxing Yoga class from noon to 1 p.m. This class is open to anyone, regardless of fitness level, or yoga experience. This class teaches basic yoga postures, healthy alignment of the spine, as well as strengthening the musculature that supports the body. If you have wanted to try yoga, now is the time! It is recommended that you dress comfortably for activity and bring some water to stay hydrated. Please bring a yoga mat or beach towel if you have one. Don’t forget to sign in before the class begins! Space is limited, so be sure to reserve your spot by registering below. We will need your name and email please! 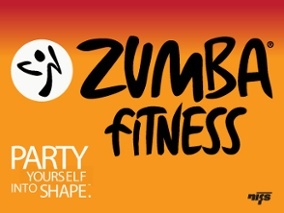 Join us for a free Zumba class with NIFS from noon to 1 p.m. This class is open to anyone, regardless of fitness level, or Zumba experience. If you have wanted to try Zumba, now is the time! It is recommended that you dress comfortably for activity and bring some water to stay hydrated. Don’t forget to sign in before the class begins! Space is limited, so be sure to reserve your spot by registering here. We will need your name and email please!